New One Week Placements are now Available for this Project! Rising early to bathe a 200-pound bundle of joy. Harvesting grass shoulder-to-shoulder with a machete-wielding mahout. 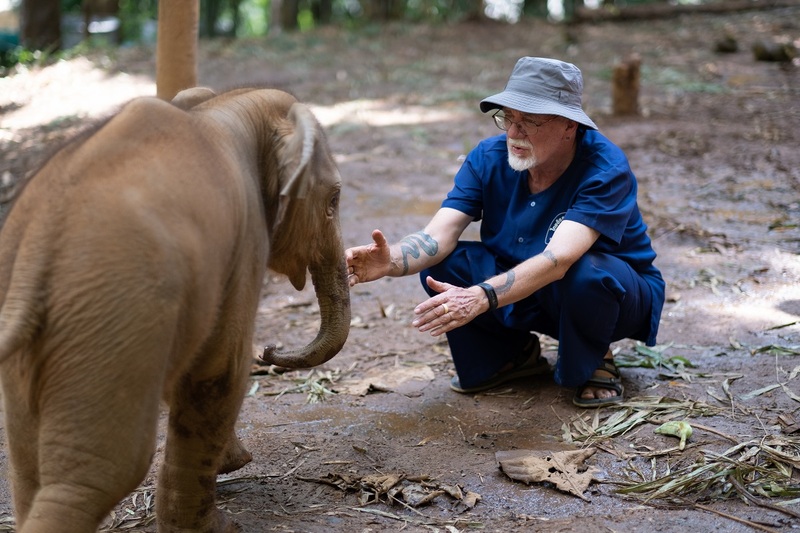 Fashioning elephant dung into paper… It’s not always glamorous, but serving at the elephant nursery in Chiang Mai is a once-in-a-lifetime experience – one that most people would never even dream of participating in. 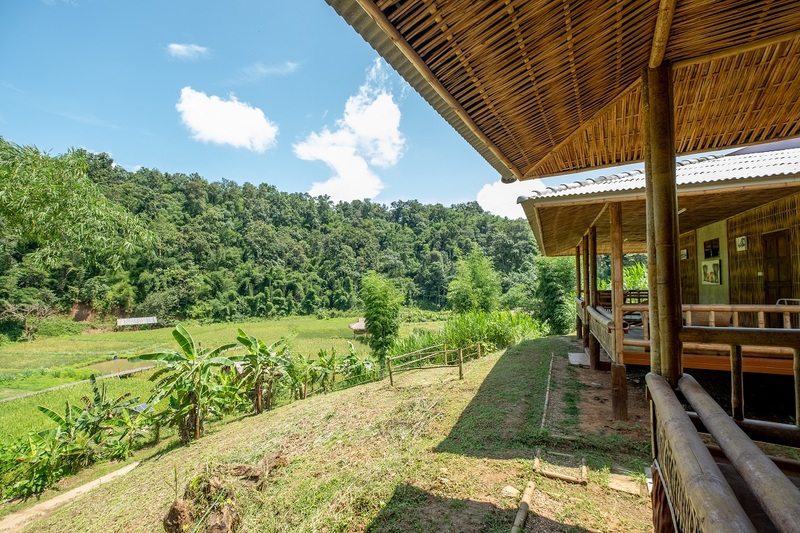 Imagine going off the grid to a highland conservation facility in Northern Thailand. Accommodation is refreshingly rustic. A river churns past the perimeter of the camp, with lush tropical foliage pushing in on every side. Solar panels provide just enough power to keep the lights on after nightfall. Eat your heart out, Jane Goodall. That’s a fair representation of life at the Elephant Nursery, and it only gets better from there. Each morning you’ll rise with the early crows of the junglefowl. 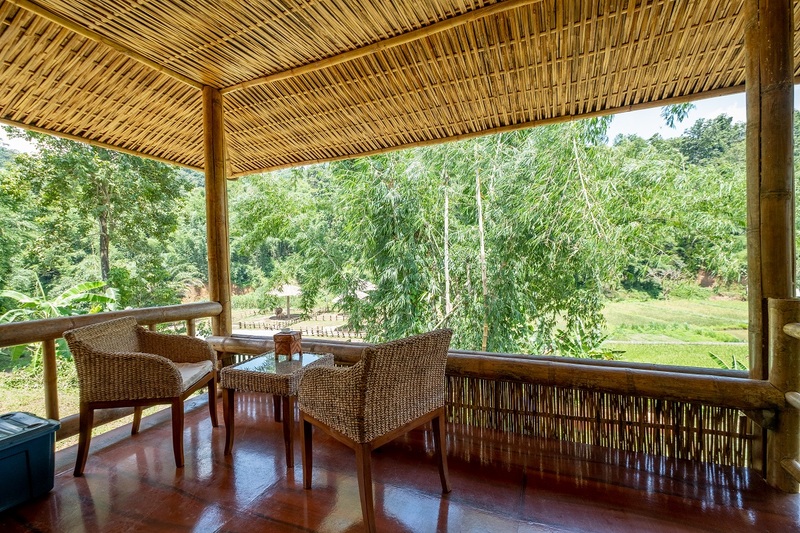 But it’s likely another sound that’ll have you scrambling out of bed at the crack of dawn – the trumpeting blast of mother elephants, followed by the fainter echoes of their calves. These adorable babies need a safe place to nurse for the first two years of their lives, and your contribution to the Elephant Nursery helps make that possible. Plan on lots of elephant contact time during this project. The roster of responsibilities at the Elephant Nursery is similar to those at the main elephant camp. The main difference is the cuteness factor – which is honestly off the charts. These 100-kilogram pachyderms spend the day exploring the world and accumulating some all-important trunks-on experience under mom’s watchful eye. Plan on some seriously Instagramable moments. The day begins early (around 6:30 am), when volunteers head to the river to help bathe the mothers and babies before feeding them. After that, volunteers and on-site staff take a moment to feed themselves before tending to their daily tasks, which include everything from harvesting grass to making herbal medicine balls for the elephants. As a volunteer, you’ll join the full-time staff in tending the grounds and facilities. You’ll also be asked to greet and interact with day visitors at the camp, filling them in on some of the details of the important conservation work carried out here. Believe it or not, one of the biggest challenges at the elephant camp is harvesting enough food to keep these leviathans happy and healthy. The mothers easily weigh three or four metric tons, and they routinely eat upwards of 135 kilograms (300 pounds) of vegetation per day. When they’re nursing a calf, their daily dietary needs increase substantially. Simply heading out with the staff on a daily basis to harvest grass, corn, bananas and other treats makes a huge difference in these elephants’ lives. 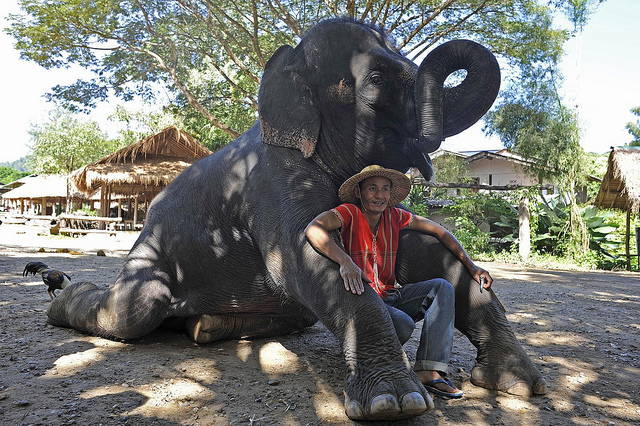 By donating your time and resources to an above-board project like this – one that prioritizes elephant health and wellbeing over shows and stunts – you can also count yourself among a small-but-growing number of conscientious actors. 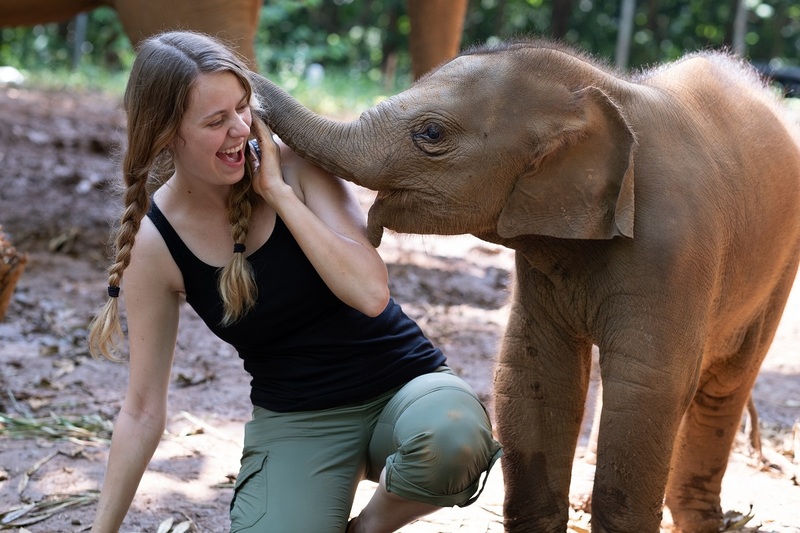 The people at this Elephant Nursery are working toward a viable solution to the elephant conservation crisis, and you can join them. Finally, you’ll also have the chance to work with local villagers, most of whom are staff members and their families. Most of these people come from ethnic minority hilltribes in Northern Thailand and are eager to learn and practice English with visiting volunteers. Many volunteers choose to help out at the local school when time permits. 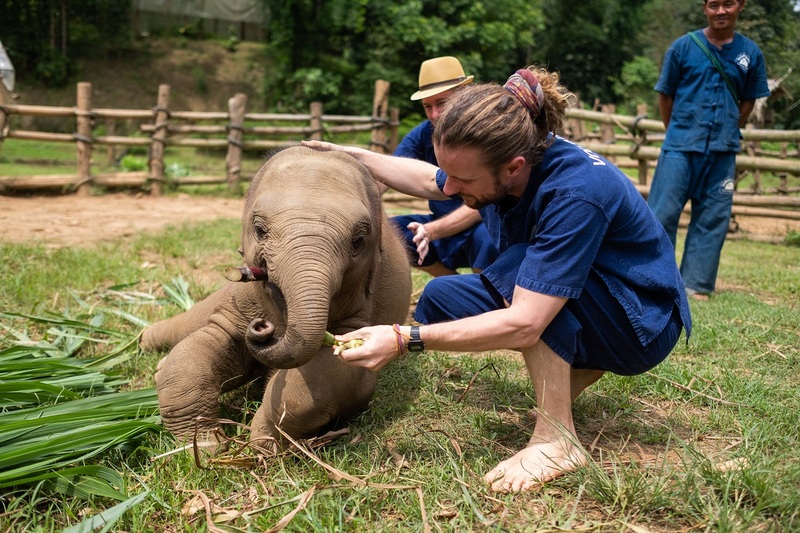 There are relatively few restrictions on who can enroll at the elephant nursery. Volunteers must be at least 18 years of age. They should also be able-bodied and enjoy working outside and with animals. As with all of our Thailand-based projects, flexibility is an important asset, as is an openness to different cultures, traditions and customs. 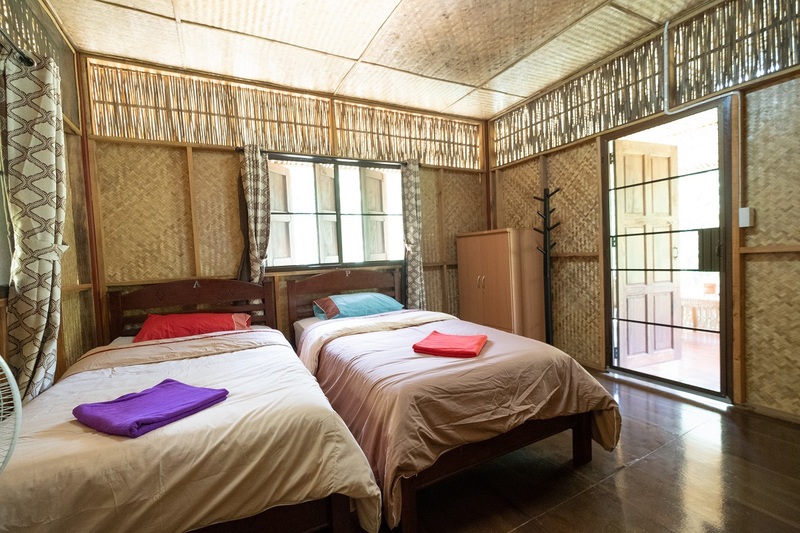 Accommodation is provided for the duration of the Elephant Nursery project, though volunteers have a slightly different arrangement than those at other projects. During orientation, they’ll stay in Chiang Mai at FFA-provided accommodation, and they return to Chiang Mai each weekend for the duration of their project. 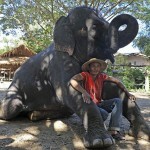 From Monday to Friday, volunteers stay at the elephant camp. The accommodation is delightfully rustic. You’ll have enough power to charge a phone and keep the lights for some late-night reading. Hot-water showers are available – a bona fide indulgence in a jungle setting like this. 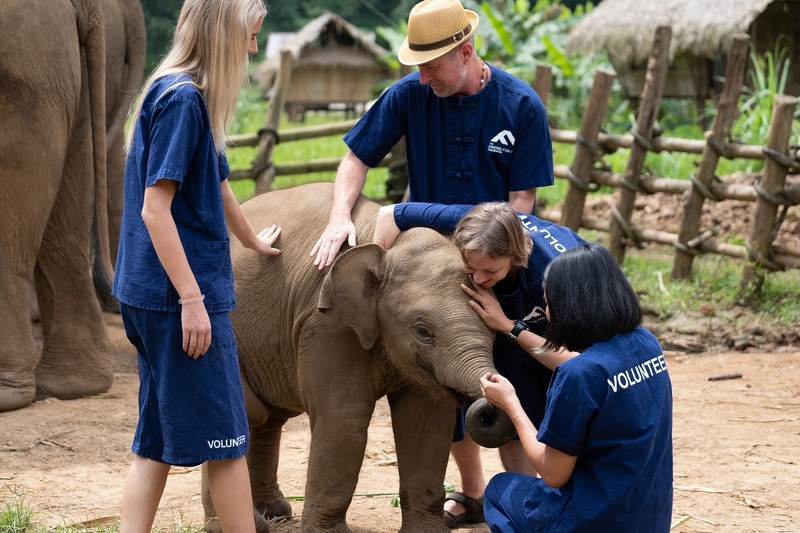 Participation in the Elephant Nursery Volunteer Project starts at $800 US Dollars for one week, $1349 for two weeks. Each additional week (over two weeks) is $329. Visit our Fees and Payments page for more information. Lunches and dinners on weekends.